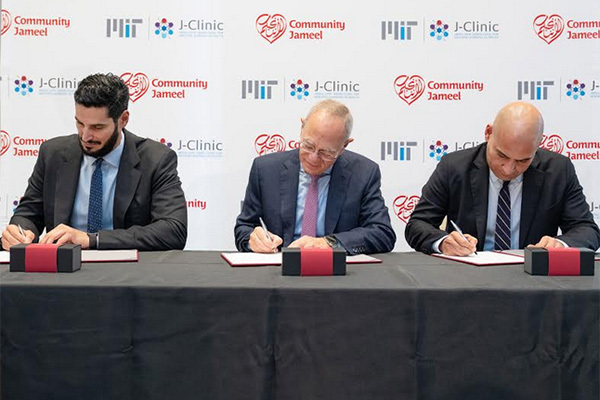 US-based MIT and Community Jameel, the social enterprise organization founded and chaired by Mohammed Abdul Latif Jameel ’78, launched the Abdul Latif Jameel Clinic for Machine Learning in Health (J-Clinic) at MIT. This is the fourth major collaborative effort between MIT and Community Jameel. • Preventative medicine methods and technologies with the potential to change the course of non-infectious disease by stopping it in its tracks. • Cost-effective diagnostic tests that may be able to both detect and alleviate health problems. • Drug discovery and development to enable faster and cheaper discovery, development, and manufacture of new pharmaceuticals, particularly those targeted for individually customized therapies. “We are grateful to Community Jameel for their humanitarian vision, boldness, generosity and continued enthusiasm for collaborating with MIT on their efforts to help make a better world,” Reif added. “The J-Clinic will positively impact the world by accelerating the creation of machine learning technologies and algorithms that will make preventing, detecting, and treating disease more precise, affordable, and personalized,” said Anantha P Chandrakasan, dean of the MIT School of Engineering and Vannevar Bush Professor of Electrical Engineering and Computer Science, who will serve as J-Clinic’s chair. “Channelling MIT’s machine learning expertise into health care will transform medical outcomes for people around the world,” said Fady Jameel, President of Community Jameel International.